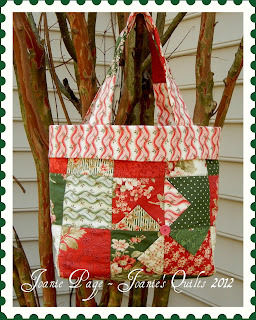 I love this tote! Why did I wait so long to make it? 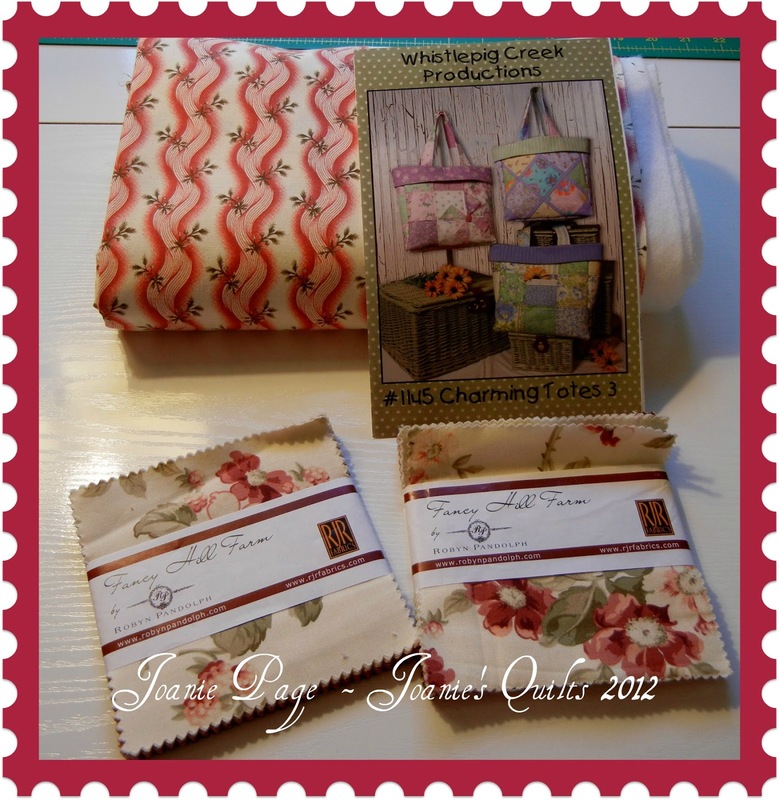 I purchased the pattern, charm packets (2) and fabric last summer. The charms and fabric are Robyn Pandolph's Fancy Hill Farm and the pattern is Whistlepig Creek Productions #1145 Charming Totes 3. The blocks are feather stitched which stepped the look up a notch. Each side of the tote has prairie points making a windmill with a button in the center. Now that I have finally made this tote my wheels are turning about using some other charms that I received as a door prize at an opening at my local quilt shop, QBee Quilts. 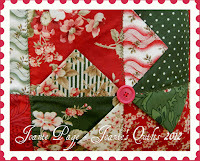 Both charm packs are Studio e fabrics, one is Jungle Jungle and the other is Peaceful Planet. They will make up wonderfully in their display of various and colorful patches. The Jungle Jungle is my favorite out of the two. My collection of tote bags is growing and may still grow if I keep having new ideas for them. Now for storing them, I saw a picture on pinterest showing an unique way of storing and displaying totes by hanging them on 2 rows of decorative boards with pegs. 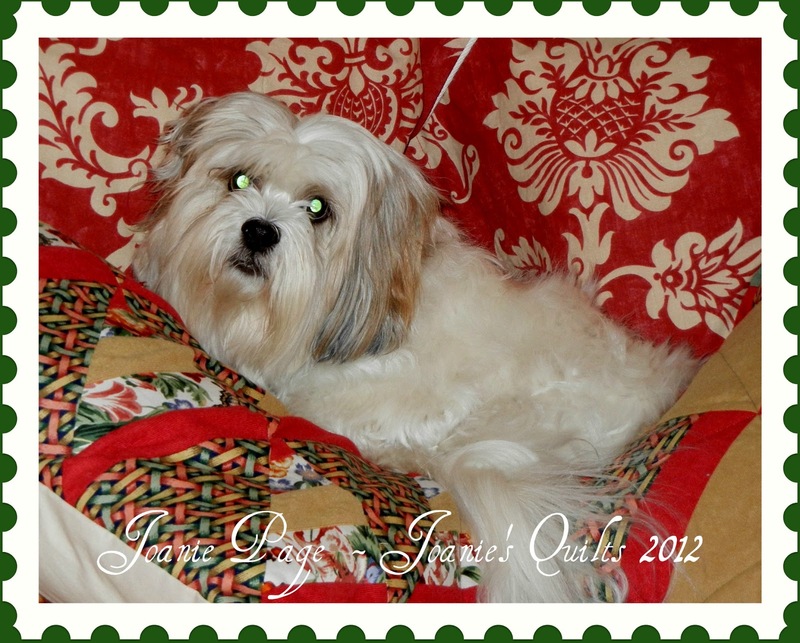 The picture can be seen at Martha Stewart's website. 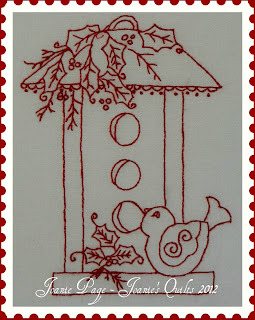 Last evening I finished up the red work birdhouse with holly and cutie pututie twitter. Only 9 more to do in this series. Cassie nestled into our pillows before we had a chance to take them off before going to bed. Does this dog know how to pamper herself or what? She doesn't have any problems treating herself as a princess and of course those who live in the same house (her house) only encourage it! Wishing you a day that you can rejoice in! You have some wonderful things listed to be thankful for. 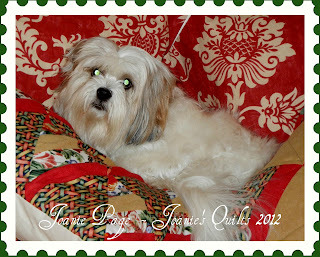 Love Fancy Hill Farm fabric and your bag is so cute, but your puppy stole the show....grin. I'm late to the "party" and I'm just now reading your past posts. 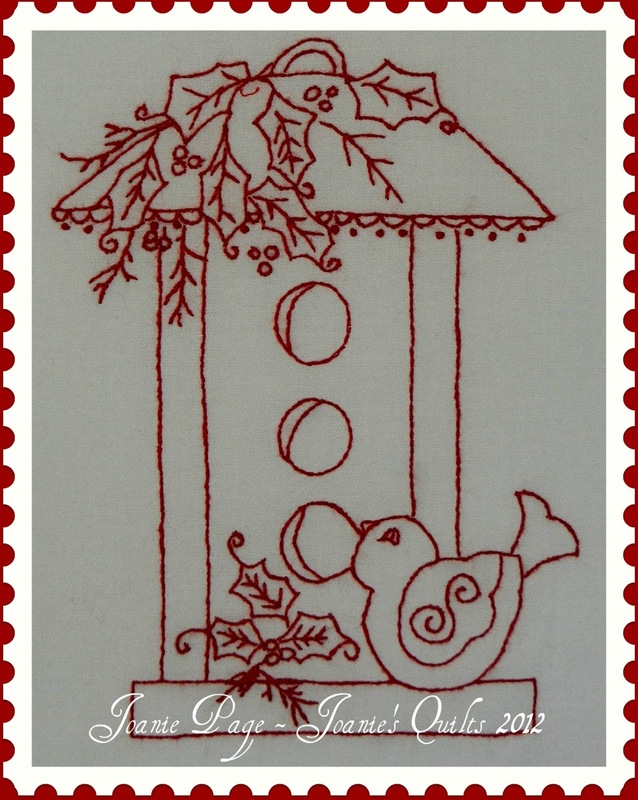 I love the redwork bird. I've wanted to try redwork for a long time. Beautiful!